Dream It. Do It. was busy visiting area high schools this quarter. 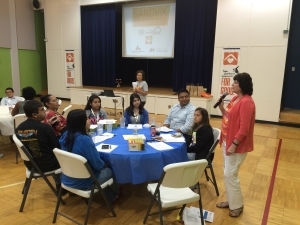 Presentation locations included Chavez and Milby High Schools, Pasadena ISD, and Barbers Hill High School. 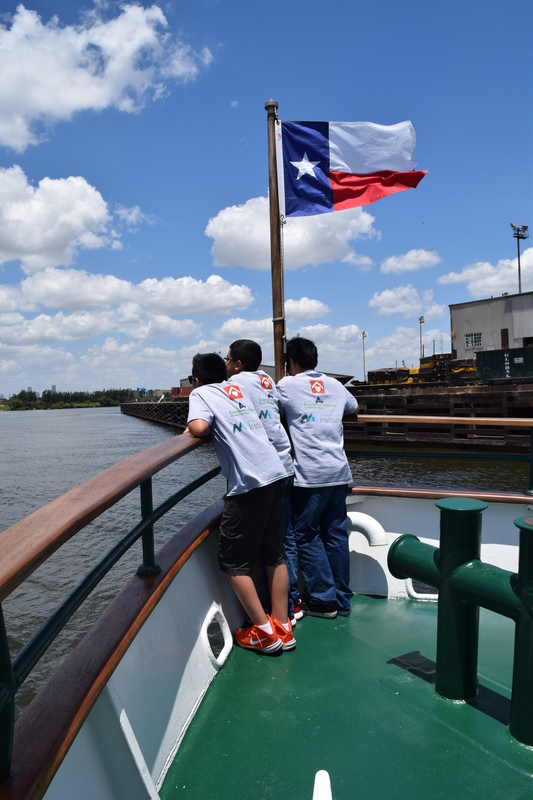 In addition, there were DIDI presentations at Career Fairs at HISD and Galena Park and North Shore High Schools. 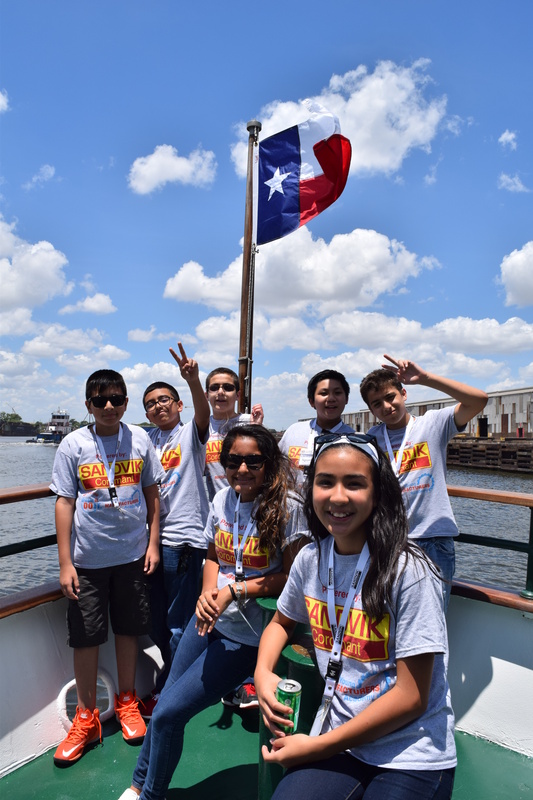 The largest presentation opportunity was a six-day session with 9th graders enrolled in the Alief ISD Career and Technical Education Early College High School in conjunction with Houston Community College. 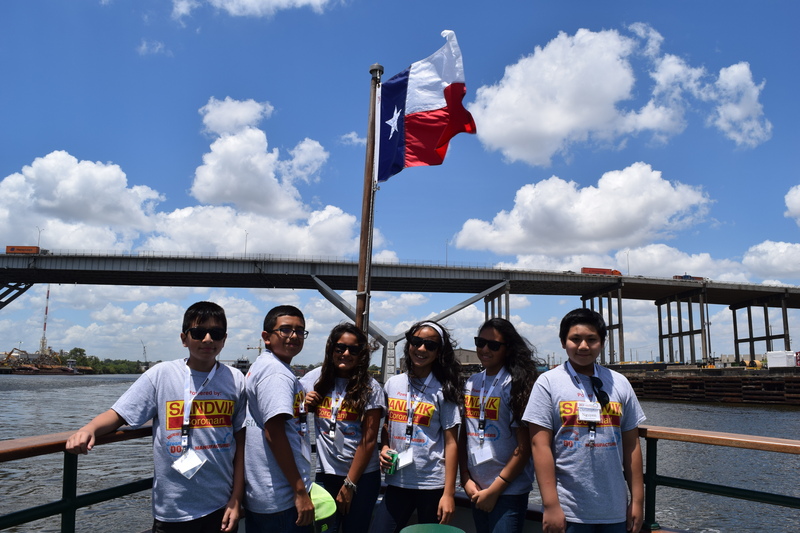 Students learned about high-need, high-wage, high skilled jobs in the Gulf Coast area as well as area economic data. 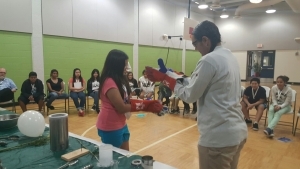 Students also experienced using PetrochemWorks.com, and participated in a “Manufacturing Challenge” to build a structure that could prevent an egg from cracking when dropped from waist height. More presentations are scheduled for the upcoming quarter. In January, the group introduced Denise Smesny as the Project Manager for the Dream It. Do It. Southeast Texas Education Foundation. In addition to managing the foundation, Denise has created an ISD Task Force made up of representatives from the ISDs and Educational Service Centers in the 7-county Dream It. Do It. Gulf Coast region. The job of this task force is to create a high-need career awareness campaign for educators, students, and parents. The task force will also define what type of assistance is needed from industry to help determine best practices for influencing the positive perception of manufacturing career opportunities to all stake holders. Dream It. Do It. 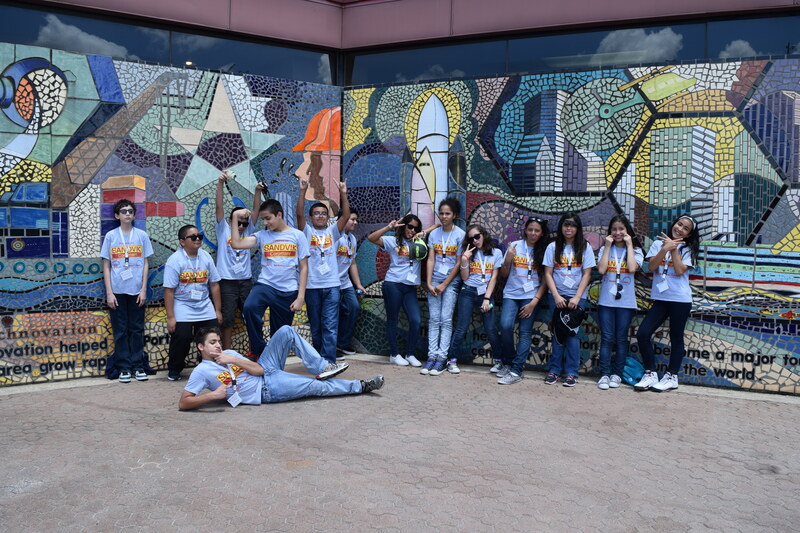 staged 6 days of presentations with 9th grade students enrolled in Alief ISD’s Career and Technical Education Early College High School in conjunction with Houston Community College. Students learned about high-need, high-wage, highly skilled career opportunities in the Gulf Coast area as well as area economic data showing trending occupations in the manufacturing sector. Students also worked with EHCMA’s PetrochemWorks.com. website. Students participated in the online “Match Me” activity on this site that allowed them to key in their interests, skills, and educational plans to help them find a petrochemical career that best fit their aptitudes. Additionally, students were treated to a presentation on economics hosted by Mr. Chad Burke of the Economic Alliance as well as a spirited presentation on “Soft Skills” presented by Ms. Kristi Claypool of Meador Staffing. The highlight of the week was an “EGG-Streme Manufacturing Challenge.” Students were charged with designing and building a structure that could prevent a raw egg from cracking when dropped from waist height. The only materials allowed were 2 sheets of newspaper, 4 drinking straws, and 3 feet of cellophane tape. After a day of planning and construction, several rounds of competition were conducted. The winning team was awarded bragging rights and honed their employability skills which included teamwork, critical thinking, flexibility, and problem solving. Congratulations to all of the competing teams. There were NO losers! Discovery Education and Alcoa Foundation are excited to introduce Manufacture Your Future, a new, online destination designed to inspire students in grades 6-12 to take the first step towards exploring and pursuing today's modern manufacturing careers through STEM-based exploration. 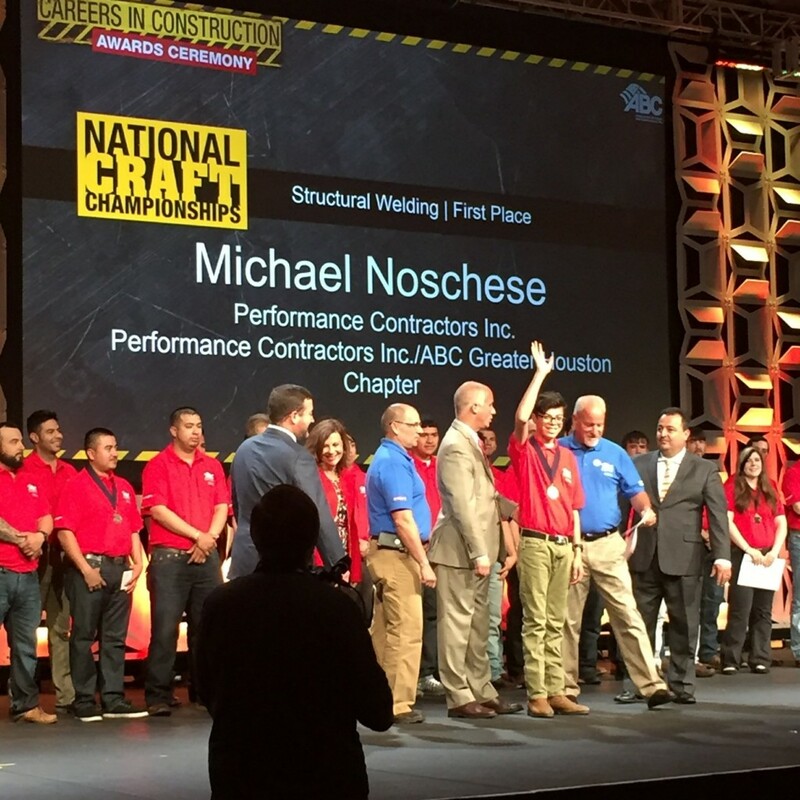 On March 1-4, 2016, Associated Builders and Contractors (ABC) held their National Craft Championships in Fort Lauderdale, Florida. Industry professionals gathered from across the country to compete in 15 events covering 13 craft skills. Companies picked their best of the best to represent them in this battle of the skills. Michael Noschese, a senior at CTHS, took 1st place in structural welding. Michael competed against 14 others, 13 of which were industry professionals. Also competing was a Goose Creek CISD Stuart Career Center student from Baytown. This is the first time that high school students have been allowed to compete in this contest. Performance Contractors chose to sponsor both of these students to represent them at the competition. At 17 years old, Michael is the youngest winner of this contest ever. We would like to thank Salvador Mellado, from Performance Contractors, for fighting for the opportunity for these students to compete. The Dream It. Do It. Speaker’s Bureau presented a Career Awareness event at Channelview High School on February 16, 2016. Seniors were invited to attend and listened to career information from Mrs. Ludith Gonzales of San Jacinto College, Mr. Chad Burke of Economic Alliance Port Region, and Mr. Chuck Ziegler and Ms. Yulenti Deal, plant operators from Lyondell Basell. Students were informed about the glut of retiring workers from the petrochemical industry and the potential careers available in that industry. All of the speakers stressed the amount of money that can be made in the petrochemical industry. Mrs. Gonzales reminded students that San Jacinto College offers both certification and AAS degrees in Process Technology in their state of the art labs on campus. She also gave students the opportunity to fill out contact cards if they expressed an interest in the Process Technology field. Mr. Burke presented slides showing how job vacancies are usually filled at area petrochemical plants, and reiterated the need for a trained workforce for this career path. He also shared that Mrs. Burke, a former lawyer, had left that field to pursue a career in the petrochemical industry. Both Lyondell Basell plant operators, Mr. Ziegler and Ms. Deal, told of how their process technology jobs were personally rewarding and also provided a good living wage for them and their families. If you are interested in a presentation from our Speaker’s Bureau, please contact Denise Smesny at denise@dreamitdoitx.org or call 281-476-9176 x 2. 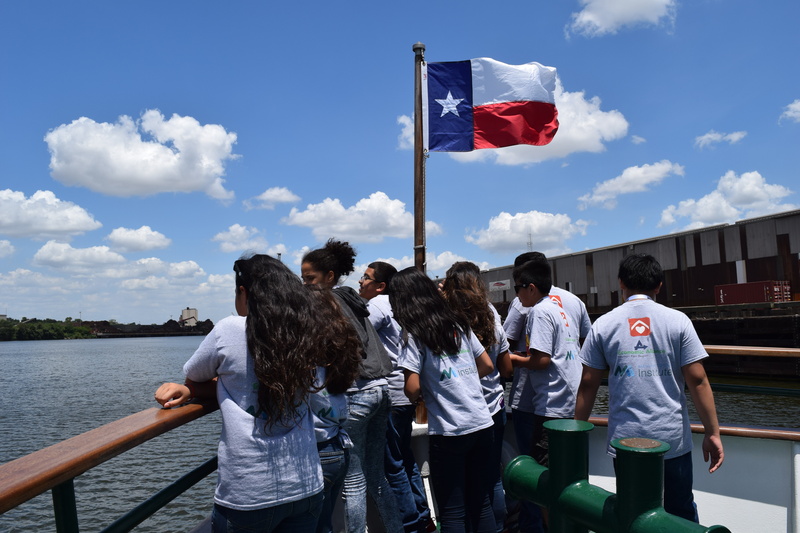 During the summer, 22 Pasadena-area students in grades 6-9 took part in a weeklong camp where they learned to make parachutes, built electronic windmills, watched science demonstrations, took a field trip to a chemical plant and toured the Port of Houston by boat. 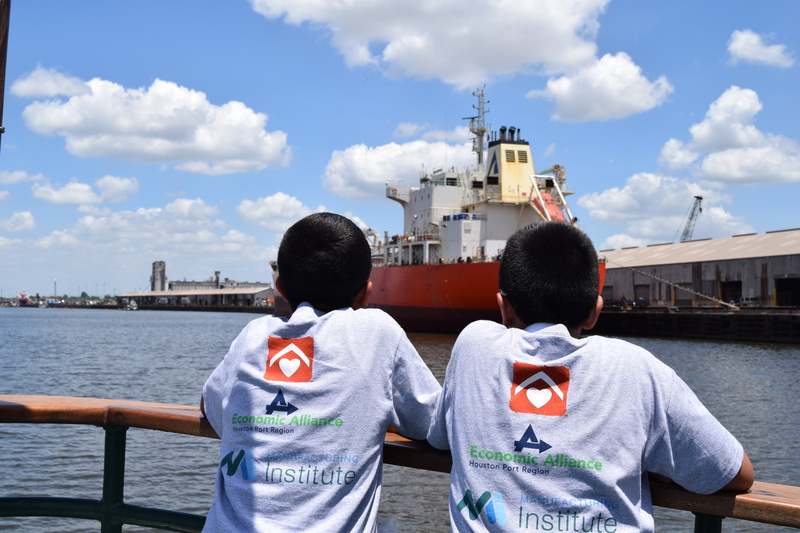 The camp was part of an ongoing initiative to introduce youths to the region’s manufacturing, petrochemical and maritime industries and inspire a future generation of skilled laborers. The program was part of “Dream It. Do It. 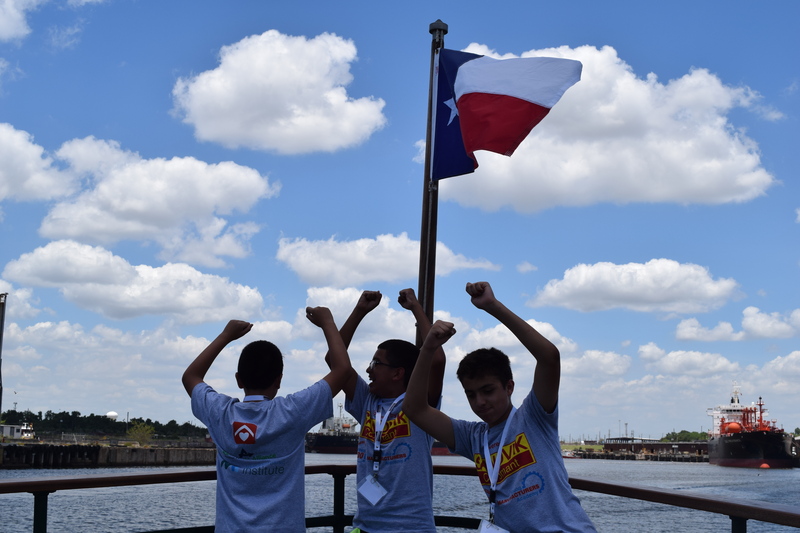 Southeast Texas,” a nonprofit organization that previously was a joint venture of Neighborhood Centers Inc. and the Economic Alliance Houston Port Region, a regional economic development corporation. 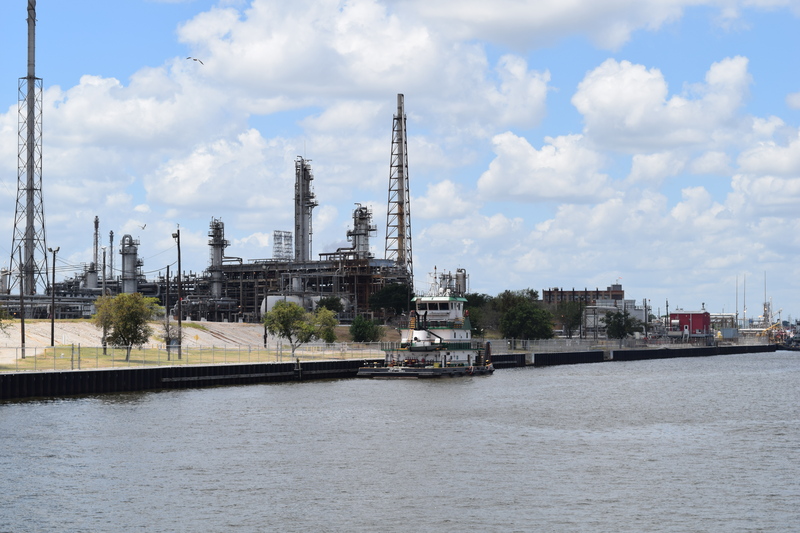 Organizers hope such projects will highlight the importance of the Bay Area’s skilled labor work force, which is experiencing a shortage, especially in the petrochemical manufacturing industry and its support services. Those jobs, Hundley said, include positions for pipefitters, instrument technologists, process technologists, logistics professionals, welders, truck drivers, electricians and construction workers. “Of course we still need engineers, lawyers and public relations people, but for the current needs of our industry, we need the people to build, operate and maintain industry facilities and those who can get goods across the docks and interstate and house them in warehouses,” she said. 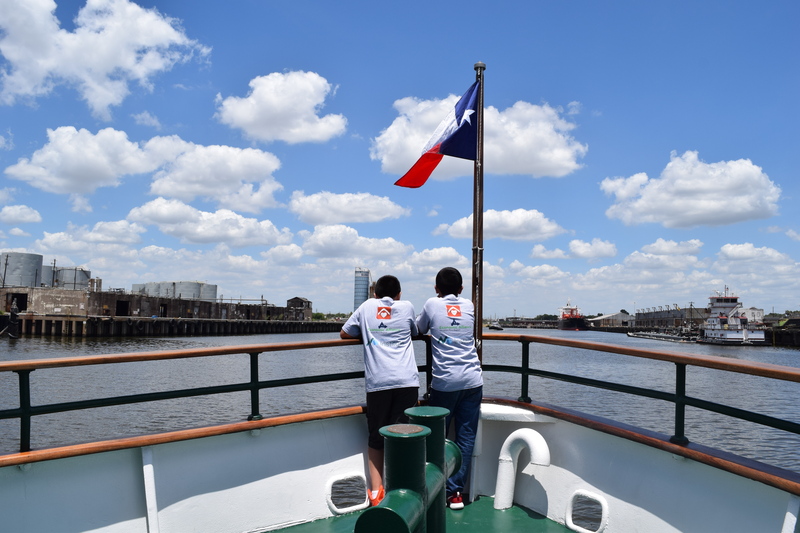 When the Port of Houston was created in 1914, it was part of the livelihood of the region and drew many visitors from local communities, with mostly mom-and-pop businesses operating at the docks. 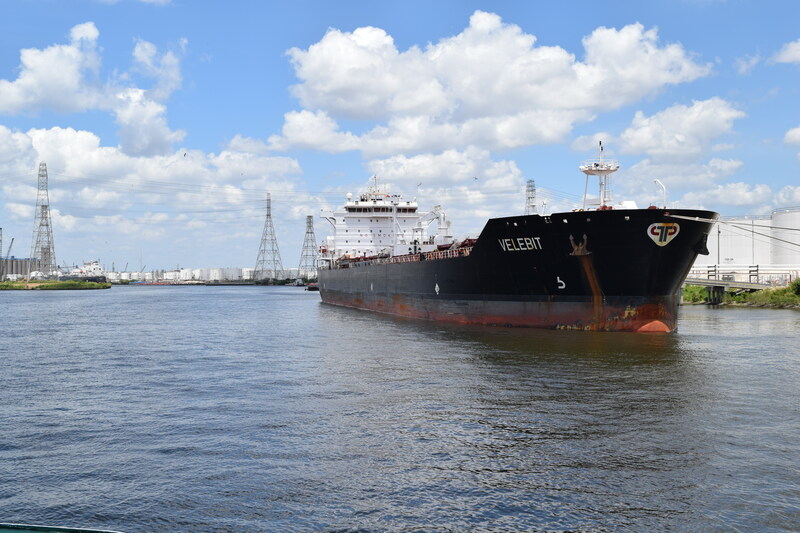 Over the years, as businesses grew into large corporations and national security concerns developed, a fence was erected and most people did not have an opportunity to see what goes on at the port, Hundley said. “A lot of what you don’t see, you kind of forget about,” she said. The region’s oil and gas industry, Hundley said, is providing more opportunities for jobs that many are not aware of. The jobs are good-paying, clean and most do not require four-year college degrees, she said. To get that message out, the Neighborhood Centers and the Economic Alliance partnered to form the Southeast Texas chapter of Dream It. Do It., a national nonprofit organization that works to build America’s skilled labor work force. According to the national organization, 3.5 million skilled jobs need to be filled within a decade, and 84 percent of the nation’s manufacturers agree that a talent shortage exists for their industry. 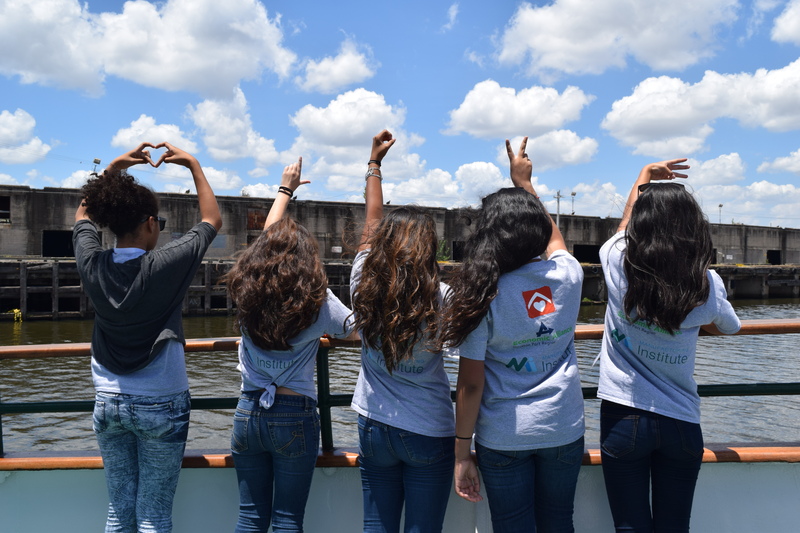 Neighborhood Centers serves more than 600,000 low-income families and individuals every year through its 70 facilities around Harris County and operates a work-force development program. In a news release, the organization called the shortage of skilled workers in the region unprecedented. Mike Lykes is the director of Neighborhood Initiatives at Neighborhood Centers and works with Hundley on Dream It. Do It.’s programing. 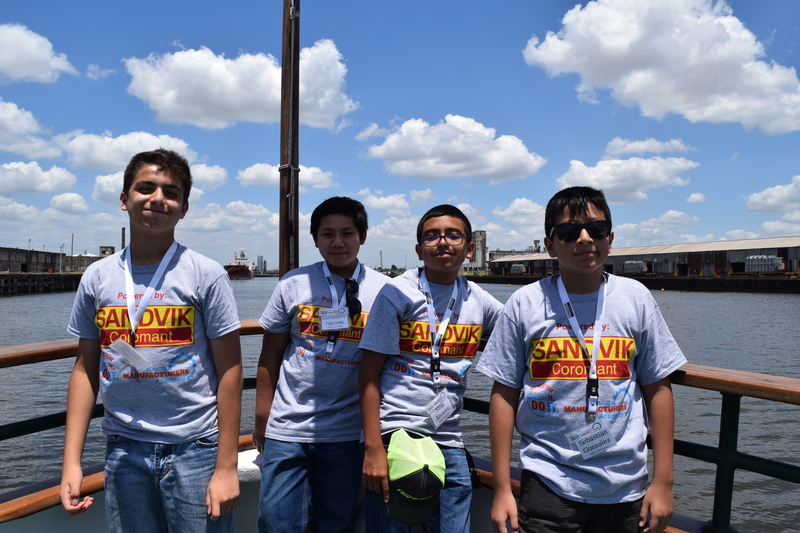 He said a survey of the summer camp’s participants indicated that children were interested in learning more about the petrochemical manufacturing industry and its impact on the port. He hopes that working with the Economic Alliance and Dream It. Do It. will inspire school districts to get involved in camp programs aimed at introducing students to skilled labor industries. “The students have a really good understanding of what to do on their end to get these types of jobs and what manufacturing really is,” Lykes said. He said a survey conducted a few years ago indicated that 70 percent of parents thought that manufacturing was the most important industry for economic development of their regions but that only 30 percent of those surveyed indicated they wanted their kids to work in it. Lykes said that perception must be changed. Dream It. Do It. Southeast Texas formed earlier this year and is working with school districts, work-force development organizations and community colleges across Brazoria, Chambers, Fort Bend, Galveston, Harris, Jefferson and Matagorda counties to get the word out about the availability of skilled jobs. Hundley set up the partnership initiative as its own education foundation that can work independently of the Economic Alliance and the Neighborhood Centers to gain funding and grants to continue its outreach and develop additional programs. Dream It. Do It. will continue its current roster of initiatives, too. In addition to creating the Youth Manufacturing Summer Camp, the local Dream It. Do It. 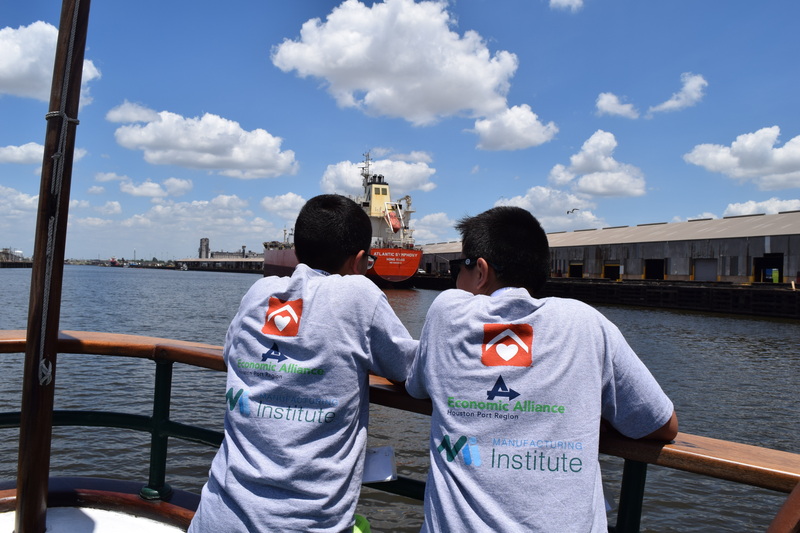 chapter established an ambassador’s program to help students in the region understand the educational paths to obtain the skills that lead to jobs within the manufacturing, petrochemical and maritime industries. The local chapter also created a job-shadowing program for school districts during which educators can learn about the various careers to better incorporate them into classroom lessons. A speaker’s program was established to address what Hundley referred to as a gap in communication between potential employers and students, including adult students enrolled in GED and English as second language programs offered by Neighborhood Centers. 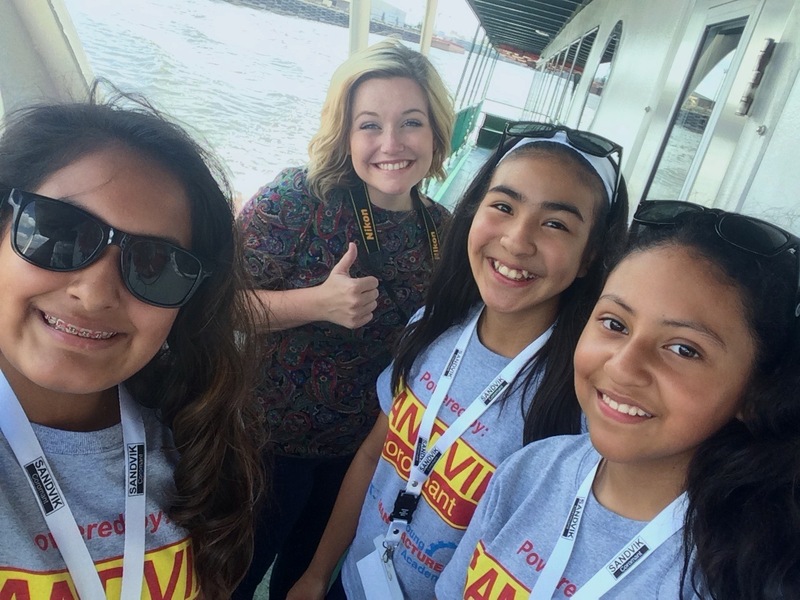 “Professionals travel to education centers to speak directly with students in the student’s own environment,” Hundley said. San Jacinto College is an active participant in the Dream It. Do It. initiative. 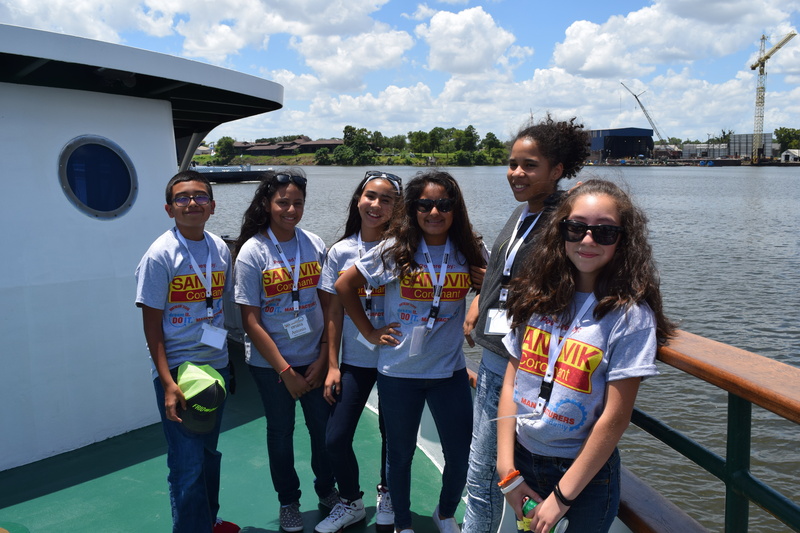 The college brings young people on campus to learn about careers in the fields of science, technology and engineering, all of which includes manufacturing, said Allatia Harris, vice chancellor of strategic initiatives at San Jacinto College. The college also hosts informational sessions at area high schools to tout industry prospects. 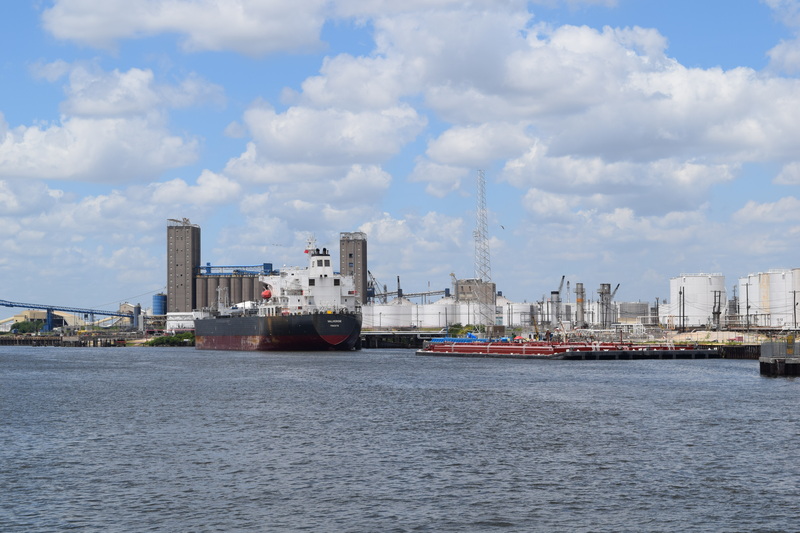 “We held outreach sessions for students and their families at several high schools to spread the word about the opportunities in the petrochemical manufacturing industry,” she said. Harris said manufacturing is important to the Houston program. To keep pace with the growth in manufacturing, San Jacinto is expanding its program offerings and holding classes seven days a week and at all hours of the day, including late at night. Voters in the college district in November approved a bond referendum to fund a new petrochemical, engineering and technology facility. The center, Harris said, will enable the college to train workers with new equipment and technology. 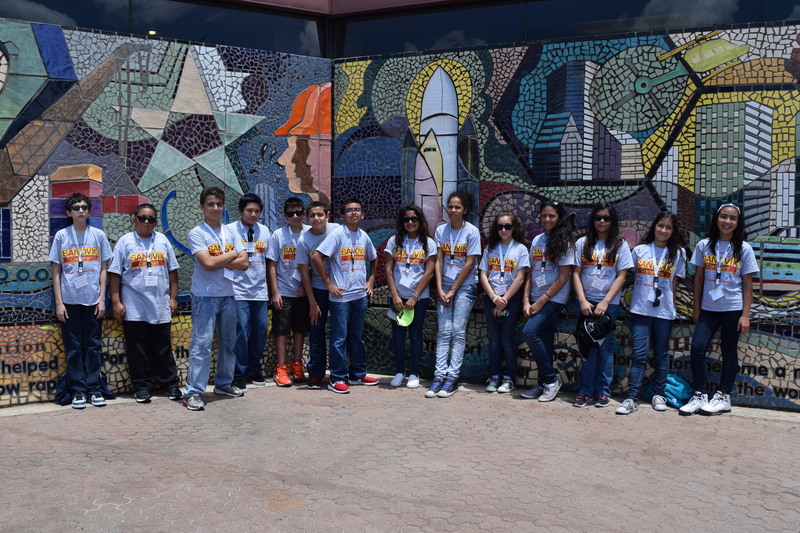 The college is among several organizations that are partnering with the Dream It. Do It. Southeast Texas foundation. Foundation board members include representatives from the Economic Alliance Houston Port Region, San Jacinto College,Lee College and BASF. Board member Glenn Johnson, BASF’s manufacturing workforce development leader, said his company is excited at the opportunity to partner with Dream It. Do It. Dream It. Do It. Southeast Texas is still in the development phase and is seeking additional organizations and businesses to join the foundation. See the original post of this article from the Houston Chronicle HERE. 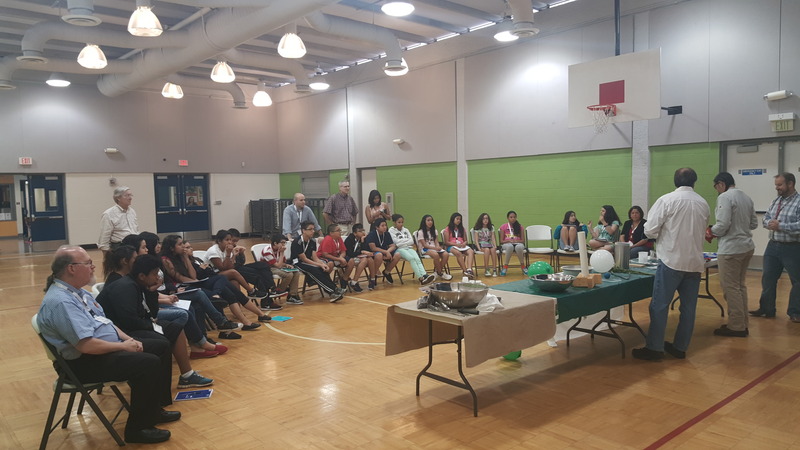 The Young Manufacturers Summer Academy “Lunch and Learn” activities were a success. The students got to participate in experiments such as, how to make liquid nitrogen ice cream and liquid nitrogen demos, provided by Air Products. Cathy LeBleu of Dixie Chemical spoke to the students of the Youth Manufacturing Summer Academy.